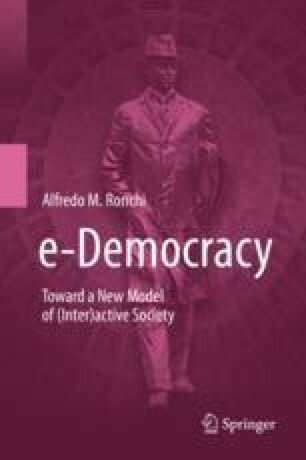 The purpose of this book is to help in drawing and understanding a realistic scenario of what we can term e-Citizenry; sometimes this term simply identifies members of the network, Internet users. This book identifies as “e-Citizen” a Citizen surrounded by public administration’s digital services and the transition from his traditional role and behaviour to the new ones. Of course, we cannot forget the huge set of services provided by private organisations as the completion of the scenario.